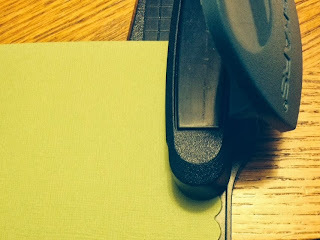 1) Cut 4 rectangles 4" x 1 1/2" with 4 different coordinating patterns of double-sided paper. 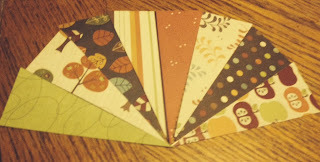 4) Cut your neutral color cardstock to 4 3/4" x 3 3/4". ( This is what you'll be attaching your triangles to). 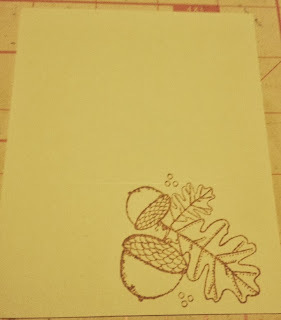 While holding the cut cardstock vertically, score at 1 3/4" (This will be the bottom of the top layer that you will decorate, stamp, etc). Then flip cardstock to horizontal position and score to divide the top of it in half, so you'll be scoring at 1 7/8" from the top of the card down to the score mark that divides top from bottom. 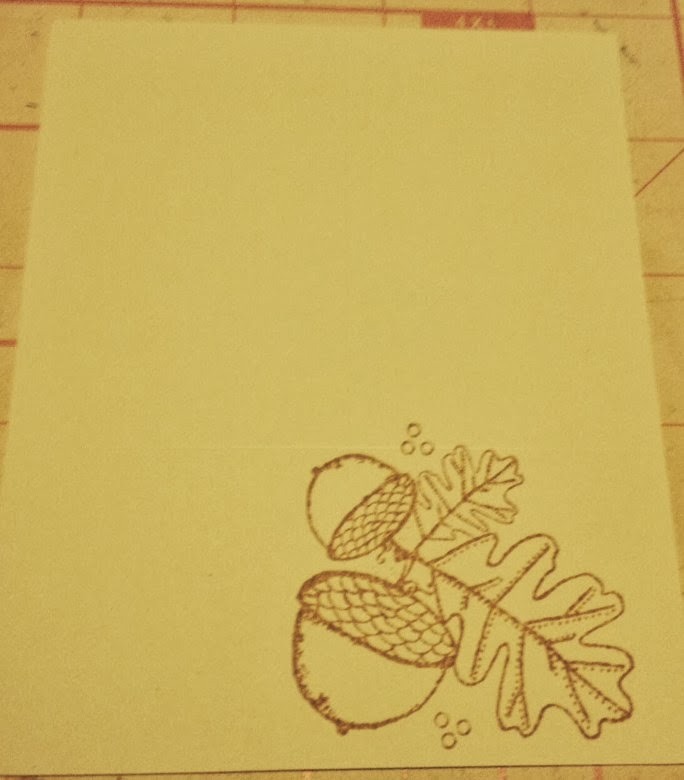 5) Decorate, stamp, or whatever you choose the bottom of the neutral cardstock. 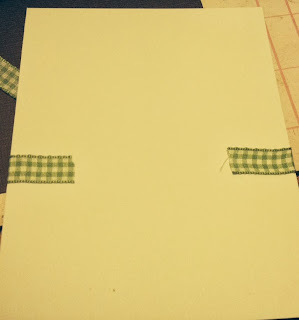 Here is mine..
6) Add adhesive all over the top of your cardstock from the bottom score line all the way to the top. 7) Using the middle score line at the top as a starting point, add your triangles. You should be able to get 4 on each side. Do not overlap! Just put each triangle right up next to each other. 10) Cut a piece of ribbon to approx. 8 1/4" and wrap around a small bottle (I use my spray stamp cleaner bottle) and tie ribbon in a knot and then slide off of the bottle. 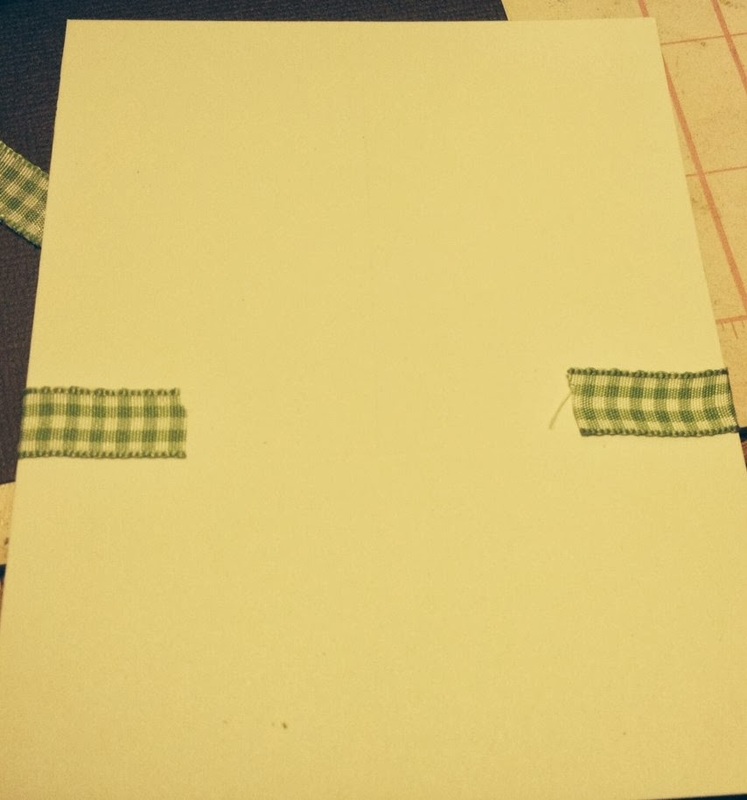 Once off the bottle, cut the back and use a glue dot behind the knot to glue to the middle of the thin strip. 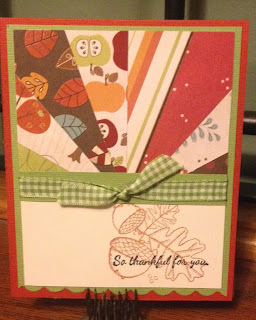 Apply a little adhesive to glue the rest of the ribbon down and wrap to back like this..
11) Cut a piece of cardstock to 4" x 5 1/4" (use the same color that you used when you can the thin strip) Once cut, use a die or punch to trim the bottom edge. You'll mount your card top on this. I know this seems like a lot of steps but once you've done one, it's really pretty easy as long as you have the measurements down! 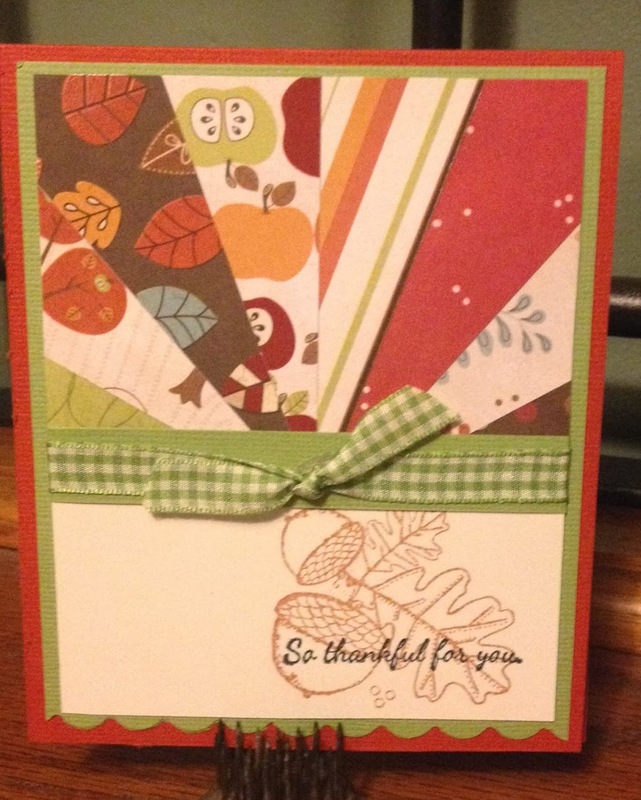 I hope you've enjoyed my card!